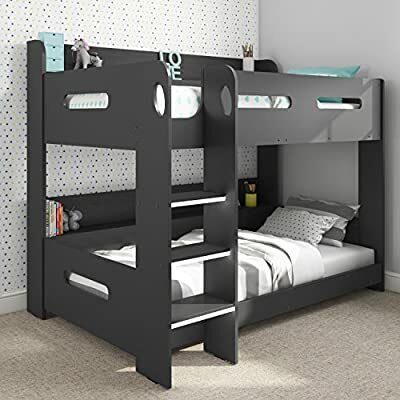 In a contemporary grey finish the Sky bunk bed easily coordinates with any bedroom decor, whether it be blue and football themed or pink and princess themed. With a compact design that features built in shelving it saves on floor space, giving your little ones plenty of room to play. 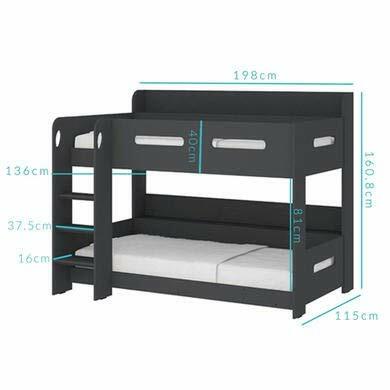 The built in shelving comes in ideal for keeping necessities close by, eliminating the need to lean out of bed to reach a bedside table. It's been designed with your little ones in mind. The ladder has a chunky design with integrated handles at the top for a much easier climb and each step has its own glow in the dark strip, offering a safer step at night time whilst obviously being ultra-cool. 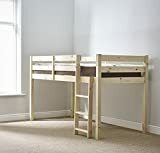 You can also decide during assembly which side of the bed you want to fit the ladder, to suit your room layout.